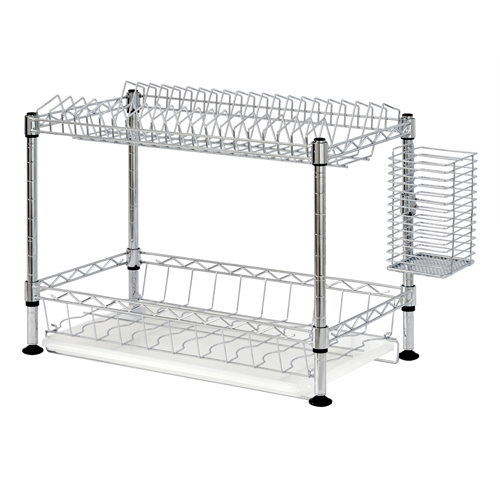 2-Tier wire shelves with slots for dishes and a separate wire cup for silverware. Removable plastic tray with lip for easy drainage. Chrome-plated finish. To compare several categories within Reception/Break Room Storage, click on View All Reception/Break Room Storage.